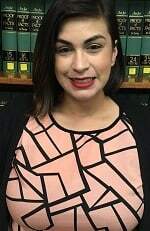 Monica started working for The Law Offices of Edward A. Smith in February of 2016 as a legal assistant and was born and raised in Sacramento, CA. She has previously worked as a Medical Receptionist and uses her experience with answering a high volume of calls in our office. Monica is a sincerely empathetic person and wants to help each and every client who walks through the door. Her strengths include problem-solving and fact-finding and her position as a legal assistant is perfect for her personality. Monica and her husband Landan Bellamine have two children and one more on the way. As a family they enjoy going to the beach or swimming at the lake. They especially love going to Dillon’s Beach and camping there during crabbing season. In addition to spending time outdoors, The Bellamines frequent their weekly bible study, with people who have truly become their extended family. Monica’s favorite pastimes are cooking, baking with her friends, riding her bike, and actively volunteering for her church.